A popular Portsmouth carvery and steakhouse has shut its doors less than a year after opening. Chester’s, in Anchorage Road, has told customers its lease is being ended early and the pub closed for the final time last Monday. It added a decision had been taken to close the pub early before the lease, which was initially for a year, ran out so work could be carried out. A sign on the front door of the pub confirmed it closed earlier this week. 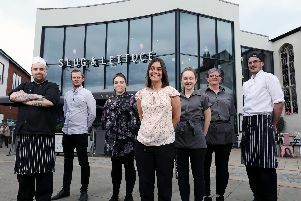 The pub was opened in May last year by multi-millionaire owner Mark Smith, who had spent years working in the financial sector among other roles. Mark, from Portsmouth, told The News he was ‘disappointed’ about the closure and the pub had suffered from ‘lots of machinery issues’. Asked whether the pub might relocate to a different location, he said ‘never say never’ but that there were no immediate plans to reopen somewhere else. Last year the pub also became the first in the country to only take card payments, aimed at streamlining the process for customers and staff. Customers shared their disappointment on the pub’s Facebook page.